JR: Hello, Carol! Hope you’re enjoying your time in New York City. CC: Thank you! There is nothing like New Yorkers. They just embrace me with so much love when I am here. I’m just so grateful. JR: So…when most people think of Carol Channing, they think of musical theater and comedy. “For Heavens Sake” is a gospel album. What was the inspiration behind the new music? CC: Oh, well, it’s not new music. It’s been around forever. These songs were taught to me by my father. They are part of the very soil of the country. My father use to sing these songs with me. I can still hear him harmonizing with me when I sing them. JR: What song on “For Heaven’s Sake” are you most proud of? Or, put another way, which song means the most to you? CC: Oh, I really shouldn’t say I have a favorite, but I do. “Momma Send Me a Letter” … oh, I just love that song. I can remember when my father taught it to me. Our postman would sing it while delivering letters. Oh, I just love singing it. CC: Oh, they have always been so good to me. A love affair is what it is. They made me their “Queen” in San Francisco, which is much better than a “Legend“. 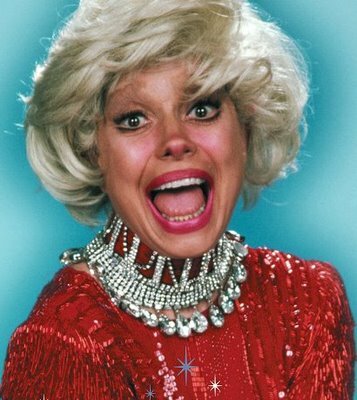 They declared it “Carol Channing Day” and I was told there wasn’t a single blonde wig left to buy in the city. Isn’t that wonderful?! They certainly seem to know who is going to be a hit before anyone else does. I’m just so lucky they liked me, and I just love them. They often make better audiences, because as a group they tend to laugh harder and louder. Applause is great, but it’s obligatory really. Laughter– now THAT’S a reward for doing something well! JR: Finally, what’s the next big thing you have in store for us? CC: Well, we have a new CD coming out called “True to the Red, White and Blue“, that has these great patriotic songs on it like “Over There“, “Tie a Yellow Ribbon“, “America”, and “America The Beautiful”. Oh… and “The Battle Hymn of the Republic“. Songs that just make you proud to be an American. But more important right now than the CD is the efforts that Harry– that’s my husband, Harry Kullijian– and I are doing through our Foundation, the Dr Channing/Kullijian Foundation for the Arts. I’m a Doctor of Fine Arts now, isn’t that nice? And, I make theatrical house calls. Yes! We are traveling all over the country to let people know how important the Arts are to developing young minds. Congresswoman Jackie Speier has authored a Resolution, H.Con.Res. 275, that has passed the House with 101 signatures of support and passed unanimously. Now it’s going before the Senate. Oh, she did such a good job writing it. It’s not too long and it’s clearly written. It requires that schools across the U.S. dedicate the second week of September to the Arts in Public Schools. Its so sad that the Arts are being cut out of the curriculum. Without the Arts, all other aspects of education suffer. Its been proven that the Arts help children in other areas of development. It’s like fertilizer on the brain! I couldn‘t agree more! Carol Channing‘s new CD “For Heaven‘s Sake” is available now. 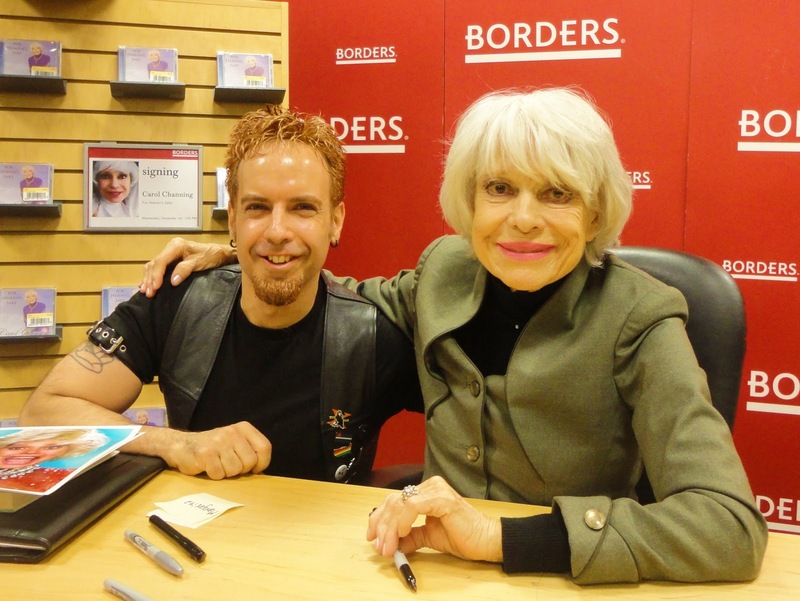 Visit Carol’s official website at www.CarolChanning.org. Learn more about the Dr. Channing & Harry Kullijian Foundation for the Arts at www.ChanningArts.org. Previous WHAT DOES WORLD AIDS DAY MEAN TO YOU? Gerald McCullouch and 11 other movers/shakers answer the question! Next WHAT DO YOU WANT TO SEE IN 2011? Eleven Community Movers & Shakers Tell Us!